I have written a couple of time (here for example) about the ICT curriculum. It is a difficult subject and the more I speak to teachers the more I am thinking about what I want to do and what needs to be done. In my school I want a cutting-edge curriculum with website design, game design, green screening and other such stuff. But I am there to lead it, I frequently get new ideas from Twitter and I want to try things out. Lots of schools aren’t like that so what do they do? Where do they begin? This post is aimed at the schools that want to revamp their curriculum but need a helping hand. Some authorities have produced schemes of work and these are quite useful but again, if yours doesn’t, where do you begin? What if your target is to move people away from ‘ICT is Powerpoint and research’ type lessons into a more exciting curriculum? I have been lucky enough to have a look through the Switched on ICT scheme from Rising Stars. This is a set of ICT plans that cover Years 1-6 and I am very impressed. Now, I know these will not be for everyone but they will be useful to schools that want to try some new things but maybe lack the expertise to try them out. Now, I have been asked to review this but I am not getting paid in any way. By now you should know, I only write about things I like. SO where do we start? Well, in Year 3 the children look at researching, making a comic strip, animation, surveys and video presentations. Do your year 3s manage all of that? Year 4s look at databases, geometry in art and making their own weather reports. In each module there are links to free resources e.g. Bubbl.us and freemind are mentioned in the research topic. There are also e-safety points, things to think about and statements to help you decide which level your child should be working towards. Now for the experts out there, this might be old-hat, but on looking through it, I have got some great ideas of things I can do with my children too. You get books and help-cards with each pack but it’s also available on the CD too. I’ve been trying to pick some holes and I’m struggling. It seems like a lot of things have been thought of and covered. The scheme has been written in collaboration with some amazing people like Terry Freedman, Miles Berry and Tom Barrett. These guys are amazing to speak to and listen to and the thought of them putting ideas down for others to use should be enough to make you want to have a look at this. So, I like it. A lot. But please PLEASE, don’t just pick this up and use it in order. The whole point of ANY scheme of work is that you pick and choose and use it in a way that suits your school. It might be that you make comic strips in Year 4 instead of 3. Who cares? As long as you challenge your children then you can move things around. Do take a look at this framework though, you will find it very useful as a starting point indeed. We work from a skills matrix, much broader in terms of skills base but also it cost us nothing as we developed it ourselves. This resource looks pretty good in theory but a lot of money. We don’t use schemes of work in NZ – our curriculum framework is based on a set of Key Competencies that are ideals for the children throughout their primary years, so we drive all of our learning through that. Now that I have downloaded an overview of the KS2 ideas I will layer it against ours and compare it…interesting…! As a PT of ICT and Technology in my Local Authority i have some information in addition to your post. This ‘scheme’ looks like an interesting resource but I agree with the poster above in terms of financing this. We have have been using a teaching resource called Teach-it for about 18 months now as have our LA and from the samples in the link, I struggle to see much that would convince my LA to invest significantly in this product when much of it is contained in what we have already. The concept of utilising free resources and cloud technology is not new to us. It’s a decent concept, looks aesthetically good but fails to bring much more ‘to the party’ than what exists and has existed for a while. I do believe that when we challenge teachers to integrate ICT into their curriculum, the level of support is vital as many of the staff will be new to Web 2 concepts. This is a major advantage to the Teach-it resource we use from Do-Be – ongoing training and support. Is support and training provided in the purchase of the ‘schemes’ or are they simply, just purchased? Ian, I agree with you. I too have seen the Switched on ICT scheme from Rising Stars and am very impressed. 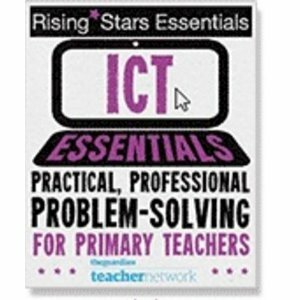 Why I think it is good is that it provides, in one place, interesting and exciting ICT lessons accessible to teachers who may not have the confidence to otherwise teach them. I particularly like the instructional 60 second how to videos. I have shown it to 2 of the teachers at my school, who do not see themselves (incorrectly in my opinion!) as extremely knowledgable in ICT delivery and they too were very impressed. Great post. I like your thinking that we need to support schools that are less savvy or don’t have someone like you, I and those on twitter who keenly follow ICT developments. I get a lot of tweets saying ‘I’ve just been appointed ICT co-ordinator, what should I do?’. This post, and the resources are certainly a great place to start. I loved reading this post Ian. I have been ICT coordinator for the last year and have been giving serious thought to writing my own scheme to suit my current school. The main problem I come across is where to find the time! I am glad I waited as from following you and many others in my PLN on Twitter I spotted this scheme mentioned and we decided to go for it. Year 3 & 4 arrived last term and I eagerly wait the arrival of 5 & 6… My next challenge is to get the teachers teaching with it! Hi, I am the ICT or should I say ‘Computing’ Co-Ordinator at my school and I have been trying to use the Switched On scheme for the past year. I say trying because the Units are a complete headache to implement. I have a Masters degree in Information Systems Management and I find the scheme actually adds to the amount of work I need to do. The scheme offers no lesson plan models it simply ‘suggests’ ideas for projects in a very causal manner, it also points you in the direction of ‘useful links’ that are very often subscription based platforms probably financially linked to Switched On. I work in an inner city school in a deprived area and we cannot afford to pay endless subscriptions, we also only have a technician with us once a week therefore I have to test all the computing lessons myself to see what will work and what wont (ie filtered websites, network issues) on top of planning my other lessons. To add insult to injury, some schools have received Switched On Computing as a free update if they have already purchased Switched On ICT, but if you diligently purchased Switched On ICT before the cut off date because you wanted to get to grips with the scheme early, then you have to pay the full wack and it’s not cheap. The Computing Curriculum now has become ridiculously over complicated and some private education suppliers are using this opportunity to rob schools blind, especially those that have monopolised the market, no names mentioned but you can take the hint. Mary, are you on commission from Switched On? I know allot of you bloggers that are…. I can tell you that I am definitely not on commission from Rising Stars (or anyone) for anything. I would say in my blog posts if I was. My book was published through Rising Stars and I only mention their products because I like them. I try to be as honest as possible on my blog and only talk about products I have used or trialled despite often getting asked to write posts on things I haven’t even seen! For a free curriculum, I would suggest visiting http://www.code-it.co.uk and this has been written by @baggiepr and he provides many great ideas.